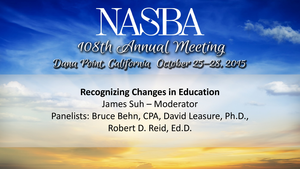 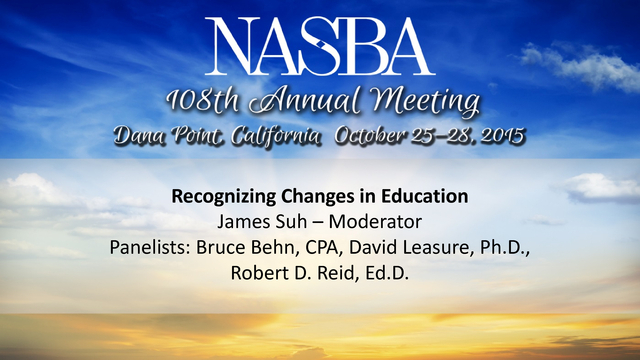 1) Recognizing Changes in Education James Suh &ndash; Moderator Panelists: Bruce Behn, CPA, David Leasure, Ph.D., Robert D. Reid, Ed.D. 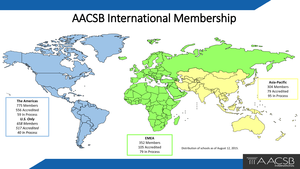 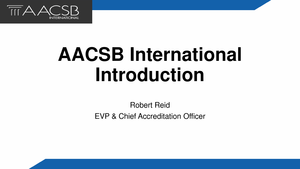 7) AACSB International Membership Asia-Pacific 304 Members 79 Accredited 95 In Process The Americas 775 Members 556 Accredited 59 In Process U.S. Only 658 Members 517 Accredited 40 In Process EMEA 352 Members 105 Accredited 79 In Process Distribution of schools as of August 12, 2015. 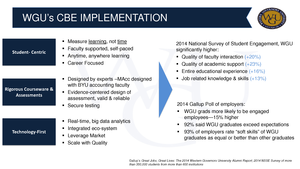 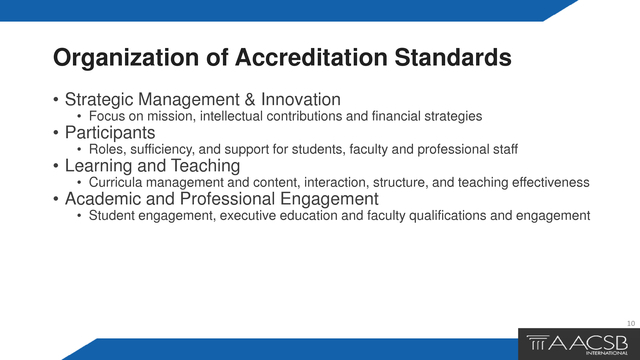 8) Accreditation Questions &bull; What is accreditation? 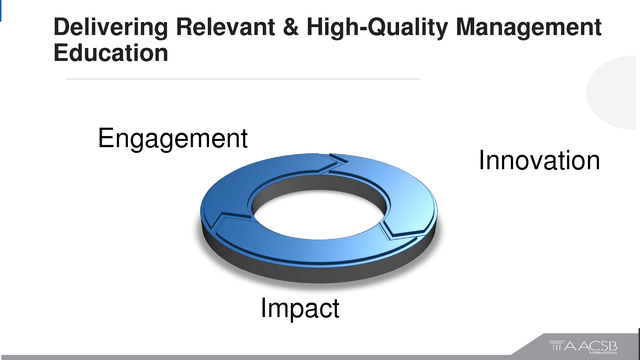 &bull; Why is it important? 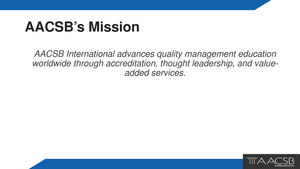 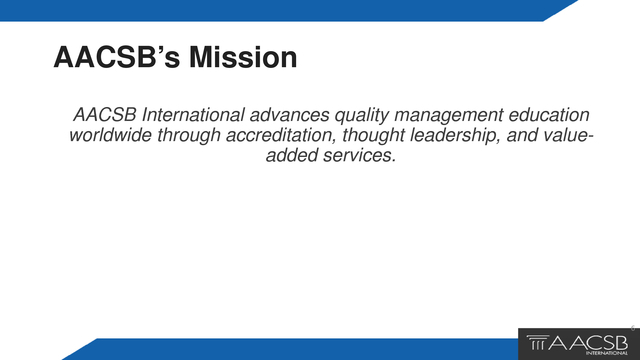 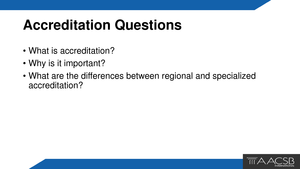 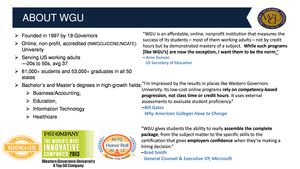 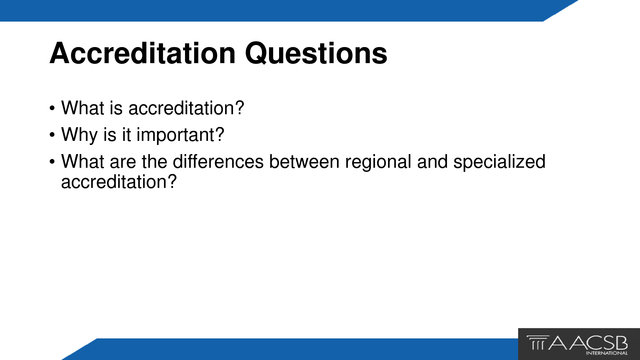 &bull; What are the differences between regional and specialized accreditation?